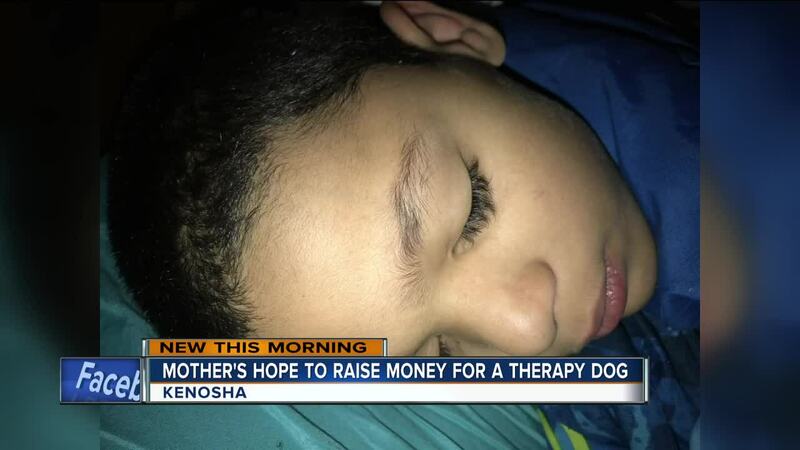 KENOSHA -- A Kenosha mother is hoping some warm hearts will help her son suffering from epilepsy. Jennifer Workman says her 8-year-old needs a service dog, to keep him alive. Workman believes it would cost her about $10,000. It is money she says she does not have -- after giving up work to watch her son Zakary full-time. TODAY'S TMJ4 interviewed her just last week after she was up all night with her son. She says he had two seizures in one night. She says Zakary sleeps in her bed and is always near, because immediately after he has grand mal seizures, his airways need to be cleared. She says a lot of times after, he does not recognize her. She says he remains in a state where he looks sedated, for hours at a time. She believes a service dog would be able to give her son more freedom and her, peace of mind. "The dog would be able to clear his airway if he had a seizure and also alert that he had a seizure," said Workman. Workman created a Go Fund Me Page. If you would like to find out more, click here .